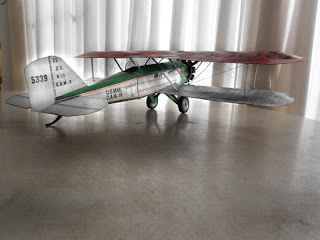 Just finished the Boeing 40,a big model! Thanks!I will take some close up photos and publish soon. Yep, that's another beautiful job. Some Boeing 40 details.The weels I made from laminated paper smoothed with sandpaper. Thanks for the encouraging comments!I'll keep posting new models as I assembly them. Wow! 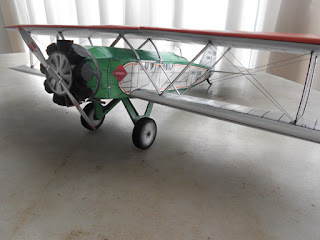 That's a super sweet biplane build. The designer of the model (Glen, or Birder) actually got to see the real thing in action. That is one smooooooth build. I still don't know how you get the wings so straight. I can't get a biplane to line up at all. 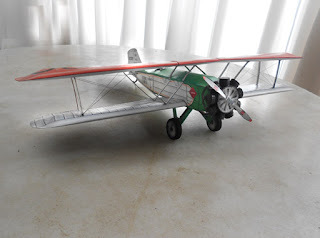 Thanks for your comments,Willigoat.I also find the wings the most difficult card model piece.To get them straight I first roll the paper at a curve and smooth surface of wood or metal and than glue another piece of paper inside the wings to reinforce them.It works! 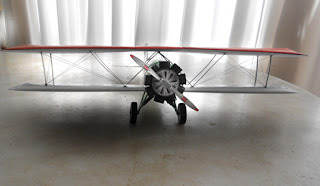 I too reinforce the wings with another piece of card (on the inside bottom) and then build a "spar" for the length of the wing which helps in rigidity and makes it hard to crush. On planes that have visible ribs I score the top of the ribs (from the inside) so they sick up a little. I don't roll the paper though. 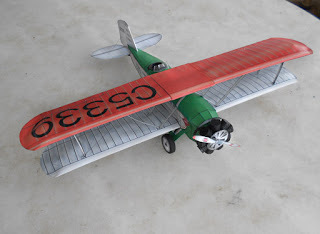 I will try this method of creating a wing spar.Maybe is the paper I use ( named 'opaline',kind of semi glossy paper),if I don't roll it before assembling it cracks.